Many wild mushrooms are delicious so why is it that so many people are fearful of them? My Mum still gets anxious about my mushroom collecting (even though my wife insists that I use three sources of identification and that I am 100% certain of my diagnosis before I eat any wild mushroom). Are these fears unfounded? No! There is a good reason that every fungus identification book includes a warning about the dangers of poisonous species. Poor or half hearted identification of mushrooms can have disastrous consequences. 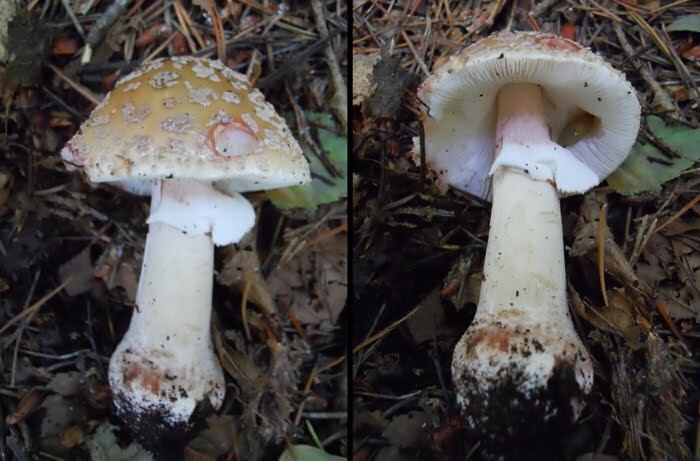 There are a number of mushrooms that grow in the UK that are deadly, and the genus Amanita contains several of the most harmful. 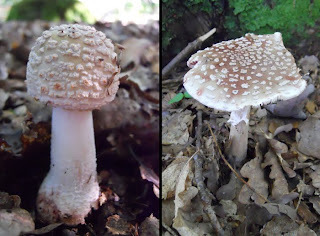 Many people know the iconic poisonous mushroom, a red cap with white spots; the Fly Agaric (Amanita muscaria), this is indeed poisonous and there has been at least one confirmed fatality from ingestion, but the effects are mild compared to some other members of that genus. 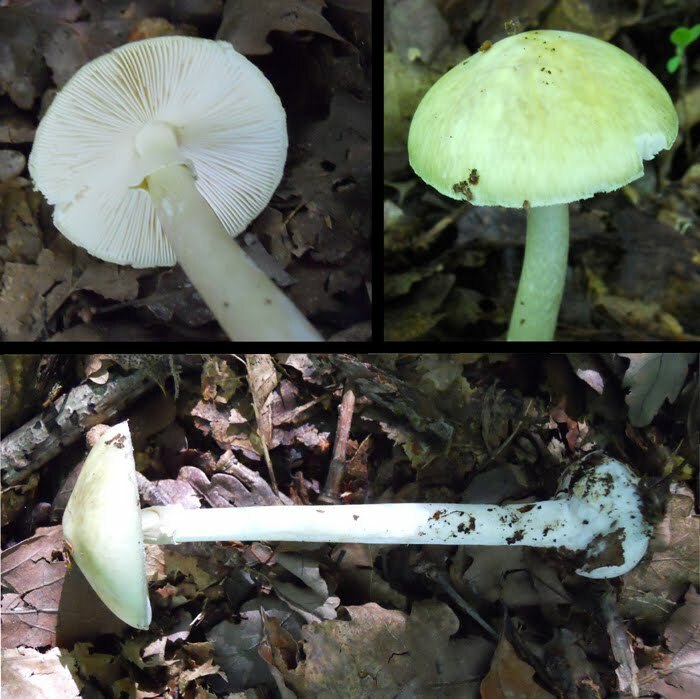 The aptly named Death Cap (Amanita phalloides) contains high levels of amatoxins, to which there is no known antidote antidote. Even with quick diagnosis and excellent treatment in intensive care fatality rates are at least 20%, rising to 90% if left untreated. I'm not going to tell you how to identify this mushroom (or any for that matter) as there are much better sources; the best online resource is Rogers Mushrooms and here you can read about the horrifying effect of this most deadly of British Mushrooms. 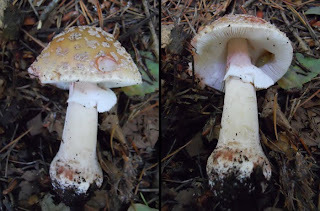 ...and here are a number of mushrooms that I'm fairly certain are an edible Amanita species, commonly known as The Blusher (Amanita rubrescens), which looks remarkably similar to the very poisonous Panther Cap (Amanita pantherina). There are a number of key differences between the two species and I'm 95% sure I can make that differentiation but the danger of fatal poisoning is not worth a 1:20 chance never mind the post-prandial anxiety!